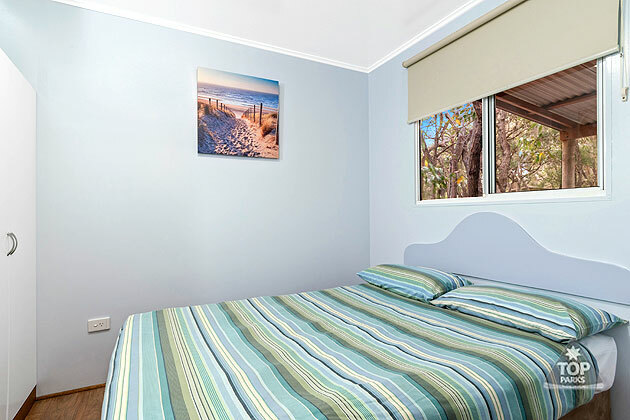 The Park Cabins are a perfect basic option for a family or group of adults to use as a base while enjoying all that the Margaret River region has to offer. 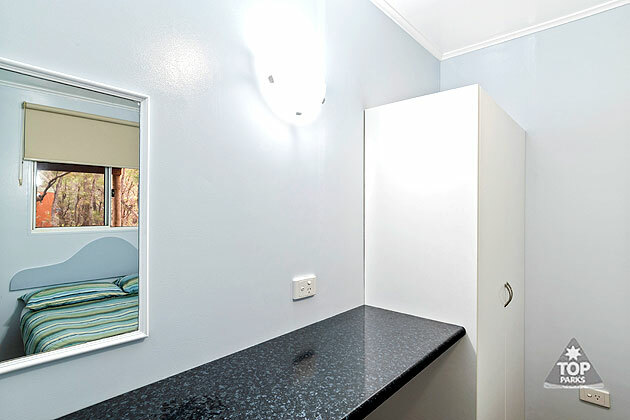 Clean and tidy park cabins are a convenient and cost effective choice designed to suit everyone’s needs. 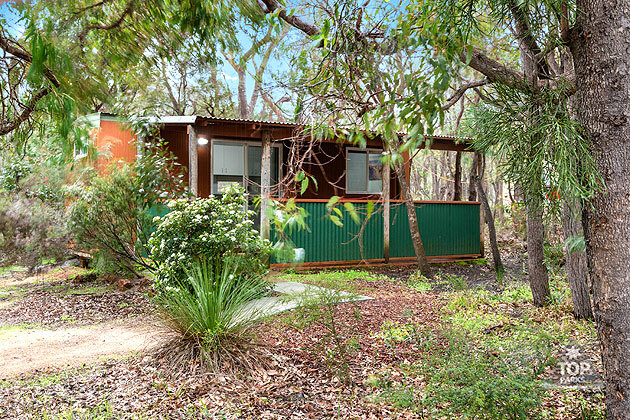 Gracetown Caravan Park cabins make a great base to come back to each day. Relax after exploring and enjoying the wine & cheese, beaches and fishing spots in the area. Features include a self contained space with a small fully equipped kitchen. 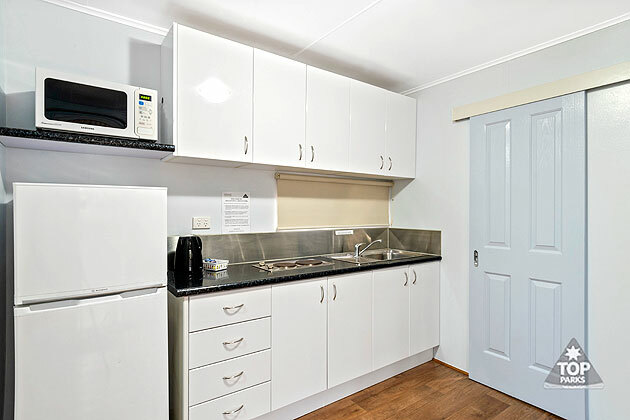 The kitchen includes a kettle, sink, hotplates, microwave, fridge, utensils, cutlery, cups and plates. The kitchen/ living area also has a T.V. Enjoy the natural bush surrounds outside in the undercover outdoor area that has a table and chair setting. A peaceful place to relax and enjoy watching the local wildlife. Sleeping areas have been designed for comfort with a double bed in a separate room, with all the linen provided. A living area containing one to two sets of bunks. Bunks come with a pillow and fitted sheet provided. Please bring your own sleeping bags or blankets for the single bunk beds and towels for everyone (can be hired). 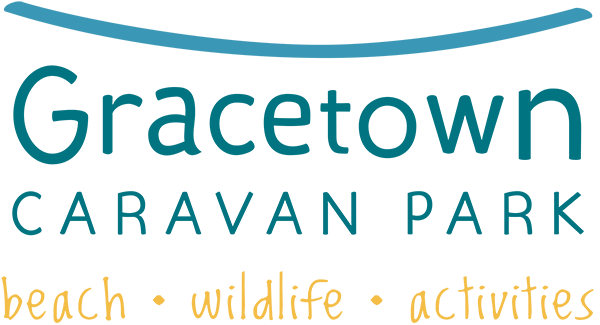 The Parks communal toilet and shower block are located nearby for your convenience. Sleep 4 adults or a family of 6. 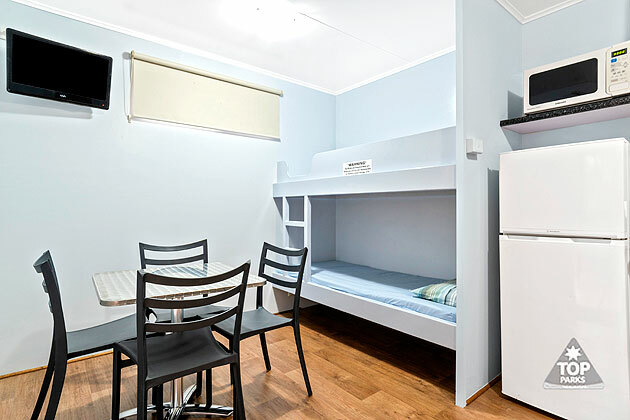 Stay in one of our park cabins for a relaxing and enjoyable holiday in a clean and tidy place that won’t break the budget. Park cabins are popular and book out quickly during peak seasons. Book early to ensure you reserve one for your holiday.